As part of the Rover's Garden Safari special event sweeping through Animal Crossing: Pocket Camp right now, players can grab a special camper paint job modeled after Rover the cat. It's a small, adorable pattern that replicates Rover's classic look for any camp manager's camper. 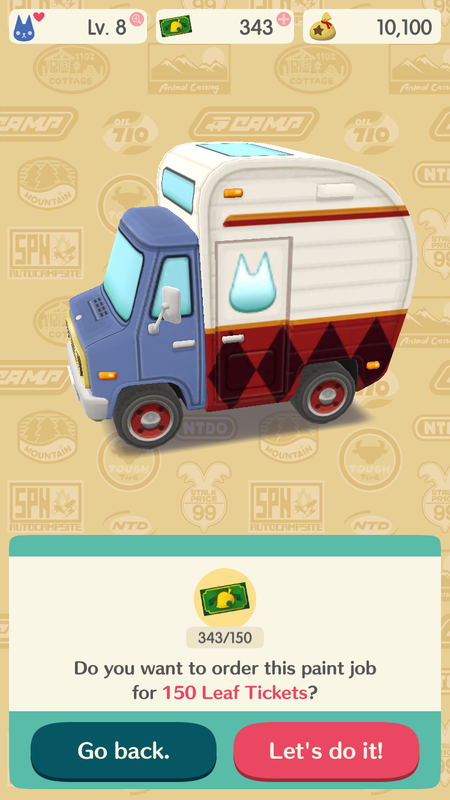 And getting the new special camper pattern is surprisingly easy, as long as you have the Leaf Tickets to spend in-game. 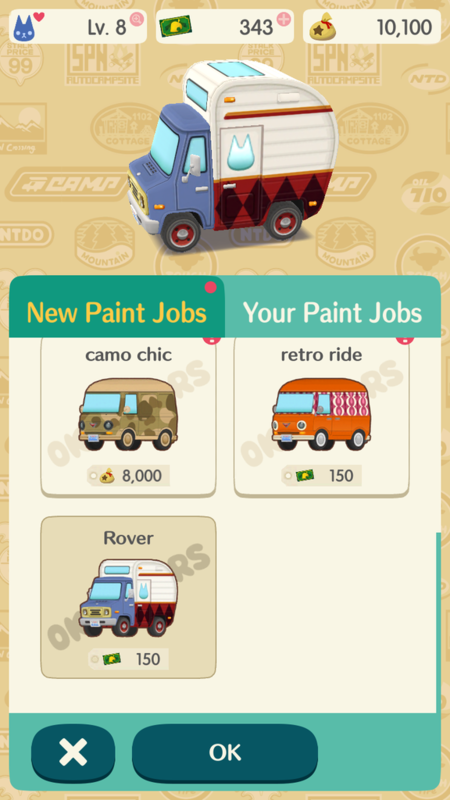 Here's what you need to do to grab Rover's camper paint job. To pick up Rover's special camper pattern, visit OK Motors from the in-game map. From there, walk up to Giovanni, ask him to customize your camper, and then choose that you want a "Special paint job!" from his crew. After which, a menu should pop up depicting all unused paint jobs. Go ahead and scroll down to the bottom and select Rover's pattern, which should look like his sweater pattern and fur. Buying Rover's camper will run you around 150 Leaf Tickets. Luckily, there's hardly a wait to receive the paint job, as Giovanni and his boys quickly get to work putting it all together. Listen to them blabber on for a few seconds, and your Rover camper will be all set, ready to show off for any friends that stop by your campsite. Unlike the regular camper paint jobs, OK Motors won't apply a special pattern on for free on your first visit. So even if you've never stopped by OK Motors before, you'll still need 150 Leaf Tickets to receive Rover's camper paint job. Luckily, there's a few ways to acquire them. Completing Timed Goals and Stretch Goals from Isabelle in-game goals will land you some, along with linking your Nintendo Account to the game. When in doubt, you can always purchase Leaf Tickets from Tom Nook, too. In the U.S., 200 Leaf Tickets sell for $7.99, which should give you plenty of in-game currency to pick up Rover's camper pattern and save some for the future, too. Otherwise, grinding for Leaf Tickets in-game also works, and if you link your Nintendo Account to the game, you should have the 150 needed for the paint job in no time.